When Esther Greenwood wins an internship on a New York fashion magazine in 1953, she is elated, believing she will finally realise her dream to become a writer. But in between the cocktail parties and piles of manuscripts, Esther's life begins to slide out of control. She finds herself spiralling into depression and eventually a suicide attempt, as she grapples with difficult relationships and a society which refuses to take women's aspirations seriously. The Bell Jar, Sylvia Plath's only novel, was originally published in 1963 under the pseudonym Victoria Lucas. The novel is partially based on Plath's own life and descent into mental illness, and has become a modern classic. The Bell Jar has been celebrated for its darkly funny and razor sharp portrait of 1950s society and has sold millions of copies worldwide. 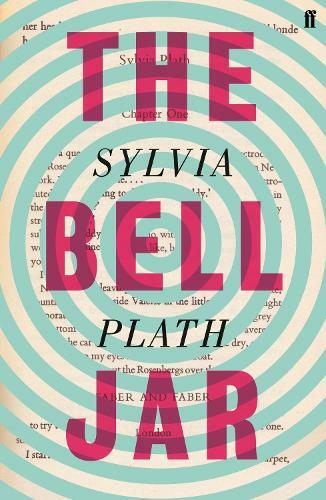 A classic work of Anglo-American feminist literature The Bell Jar – which was published in the UK just a month before Sylvia Plath’s suicide - has long been the subject of intense scrutiny, interrogated as much for its connection with Plath’s own life as for its undoubted literary brilliance. Plath herself invited the comparison, describing the book to her mother saying, ‘what I’ve done is to throw together events from my own life, fictionalising to add colour – it’s a potboiler really… I’ve tried to picture my world and the people in it as seen through the distorting lens of a bell jar.’ As the Guardian comments, ‘it’s a raw, unsettling book with flashes of brilliance, a roman à clef that’s also a long, tormented footnote to Plath’s tormented poetry’. Described by Joyce Carol Oates as ‘one of the most celebrated and controversial of postwar poets writing in English’, American writer Sylvia Plath is one of the most widely recognised, culturally significant and influential voices of the twentieth century. Her works include the poetry collections The Colossus and Ariel and the novel The Bell Jar. Completely gripping from start to finish. one of my favourite books - this is a definite one to read.